A hike across blooming Alpine meadows and past deep-green forests, gentle mountain streams, and majestic peaks is sheer joy. However, the Ötztal and its incredible 250 mountain tops above 3,000 metres have even more to offer. The deepest part of the Inntal is a hotspot for Alpine adventure. Countless mountain bike routes, challenging granite climbing walls, and our adrenaline-fuelled programme of outdoor activities await. Hotel habicher hof makes your Ötztal holiday an unforgettable experience, providing you with the perfect combination of balmy summer nights, adventure-loaded sunny days, and delicious, seasonal specialities. We have all cards on the table. We are an official partner of the Ötztal Premium Card. As such, we can offer our guests the card’s exclusive benefits for free. Book with us to receive your ticket to the summer adventure world of the Ötztal. In addition to free use of all mountain lifts and public transport in the Ötztal, the card includes many more special discounts, as well as interesting guided tours and free entry to the AQUA DOME thermal spa or AREA 47 adventure park. Learn more about the advantages you enjoy as an Ötztal Premium Card holder. of the Ötztal Alps on foot. Breathe in the fresh mountain air and take in the stunning views on top of one of the many Ötztal mountain peaks. Feel your heart beating as you embark on your own personal journey through the Ötztal Alps with a hearty snack in your backpack and the blue sky smiling down on you. 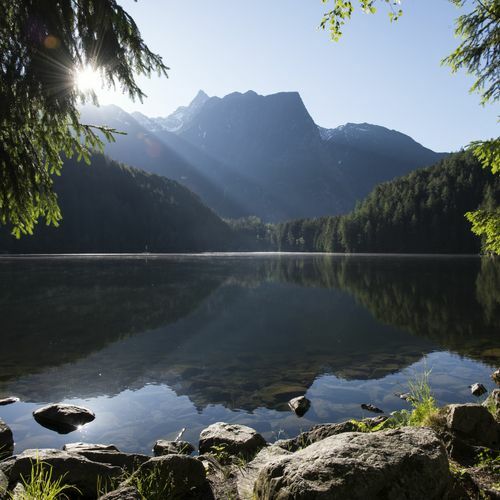 Hiking in the Ötztal gives you a unique opportunity to explore breathtaking landscapes, accompanied by the cheerful ringing of cowbells, the chirping of crickets, as well as plenty of sunshine. Over 1,600 kilometres of hiking paths are waiting for you, ready to make your summer holiday in the Ötztal a hiker’s delight. What are you waiting for? There is hardly a sport that provides as much variety as biking – especially here in the Ötztal, where you can cycle along gentle paths in the valley, past authentic Tyrolean villages, or follow winding serpentines with your road bike. It is up to you whether you would like some electric support or want to put the pedal to the metal. Mountain biking is the highlight for cyclists in the Ötztal. It challenges you to climb steep trails to reach the top of the mountain and rewards you with gnarly downhill sections and rock gardens. Over 850 kilometres of biking routes ensure that bike enthusiasts get their money’s worth in the Ötztal. Explore new heights with a speedy convertible, in a classic vintage car, or on the saddle of your motorbike. Stunning roads take you up to 3,000 metres above sea level. At Hotel habicher hof, many motorbike enthusiasts meet to plan their next tour. Our recommendations include a trip to the Timmelsjoch High Alpine Road, the Hahntennjoch Pass Road, the Reschen Pass at the deep-blue Lake Reschen with its world-famous sunken church tower, and the Fuorn Pass. Our team of motor-loving individuals is happy to assist you in the planning of your motorcycling tour. The Ötztal allows you to push your boundaries and grow all summer long – be it by defying gravity during your climbing adventure in one of the most beautiful granite climbing regions of the Alps; by conquering white water during your rafting or canyoning trip in wild nature; or by testing the craziest fun sports in the AREA 47 outdoor park. Experience adrenaline-fuelled days of action that will make your heart race and collect the wildest memories in the area surrounding Hotel habicher hof in Oetz, the best place to base yourself to set out for adventure.